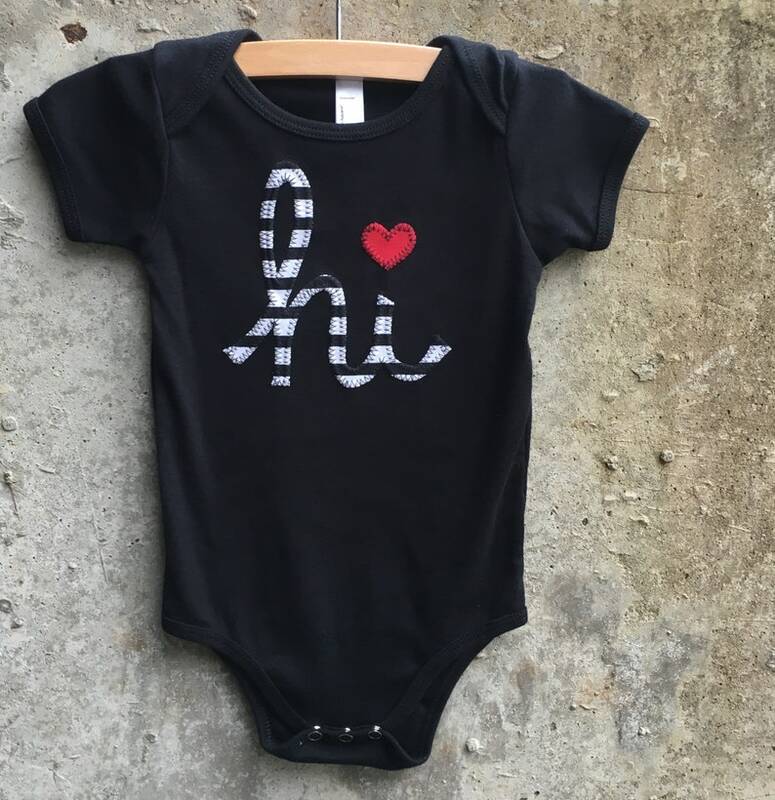 The hi baby bodysuit is perfect as a Valentine's day or baby shower gift or something special for your child to wear at their next birthday, special occasion or photo session. Also available in other color combos by request. • You will receive the hand cut and machine stitched "hi" appliquè on a new baby bodysuit in the color and size of your choice.